When I was an undergraduate learning basic economics from Paul Samuelson's classic textbook, I ran across a book by Marc Linder called Anti-Samuelson. Linder's book was a leftist critique of Samuelson's presentation of the field. I now know how Paul must have felt when Linder's book came out. A friend recently called to my attention an article called Economic Indoctrination, which takes a similar approach to my principles text. The author, a cofounder of the "post-autistic economics movement," tries to portray my book as right-wing propaganda. This is not the first time my text has been criticized for being biased. When President Bush appointed me to be CEA chair, some members of the political right opposed the nomination because my textbook was too Keynesian and not sufficiently sympathetic to their supply-side views. I suppose the symmetry in the attacks suggests I am getting things about right. When I teach introductory economics, either in the classroom or in my textbook, I view myself as an ambassador for the economics profession. I try to represent the economic mainstream, not my personal political views. Some students may view the economic mainstream as right of center. That assessment is probably correct, at least as judged by the universe of college professors. But the job of an introductory course is to present, as honestly as possible, the consensus of the profession. If the typical economist is more market-friendly than the typical literature professor, then that point of view will likely be reflected in the leading textbooks. I was most surprised to read that the author of this critique was once a member of the army of teaching fellows I oversee in ec 10. I wish he had come to talk with me about his views while he was involved in the course. I have long been intrigued by the post-autistic economics movement. A conversation on the topic would have been edifying for both of us. The overall targets of 50% reductions in emissions by 2050 (relative to 1990) agreed at the G8 summit in Heiligendamm last June are essential if we are to have a reasonable chance of keeping temperature increases below 2C or 3C.... For a 50% reduction in global emissions by 2050, the world average per capita must drop from seven tonnes to two or three. Within these global targets, even a minimal view of equity demands that the rich countries' reductions should be at least 80% - either made directly or purchased. We find strong evidence that economic preferences are heritable. For altruism as well as risk preferences the genetic effect is significantly different from zero. In our best fitting models, the point estimates suggest that 35 percent of the variation in altruism and 27 percent of variation in risk preferences is explained by genetic influences. Furthermore, our results suggest only a modest role for common environment as a source of phenotypic variation. We argue that the significance of these results extends well beyond documenting an important, but hitherto largely ignored, source of preference heterogeneity. For example, although it is widely accepted that parent-offspring correlations in isolation cannot be used to discriminate between theories of genetic and cultural transmission, much economic research is carried out under the presumption that genetic transmission is small enough that it can be ignored. Such an assumption is not consistent with our findings. Fed governor Rick Mishkin talks to undergrads at MIT. 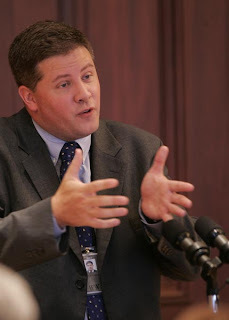 President Bush has appointed Keith Hennessey to replace Al Hubbard, who recently resigned as the head of the National Economic Council. I worked closely with Keith for two years, when he was the #2 person at the NEC, and I can attest that he is an excellent choice. Keith has spent most of his career as a Washington policy wonk, after getting a math degree at Stanford and a public policy degree at Harvard's Kennedy School. But, like most readers of this blog, in his heart he is an econonerd. I recall that in his spare time (a precious commodity for those working in the White House), Keith was reading David Romer's graduate-level textbook, Advanced Macroeconomics, just for fun. I also remember some advice Keith gave me as I left my Washington post to return to Harvard: Start a blog. From Washington Post columnist Ruth Marcus. A former ec 10 student recommends listening to this NPR story on U.S. trade policy and the sock industry. no one cares about inequality. People care about injustice, unfairness, poverty, sexual predators, family values, gay marriage, terrorism, and many other problems of everyday life. People don't care about Gini distributions. This passage was written about Paul Krugman's new book, but it can be taken as a much broader critique of the conventional economic approach to inequality. The whole theory of optimal taxation and redistribution, best exemplified by the literature that follows Mirrlees, assumes that the social planner cares about inequality in itself. Government policy in the model is driven by a utilitarian calculus, which in turn is based on the axiom of diminishing marginal utility. The planner would, if he could achieve the goal without blunting incentives and diminishing efficiency, use the system of taxes and transfers to equalize incomes. There is no room in the model for the concept of injustice beyond inequality of ability, the distribution of which the model takes as inherent and immutable. The model also maintains the neoclassical conclusion that, given ability, people are paid the value of their marginal product. That is, people are paid what they contribute to society. I agree with Gintis that people care more about injustice than about inequality. For example, greater outrage is directed at highly paid CEOs than at highly paid athletes. People sense that athletes earn their high income by being highly talented, whereas they feel (correctly or not) that CEOs are paid a lot because they have manipulated the system. If Gintis is right, then the standard model is barking up the wrong tree. As seen by Thomas Sowell. This graph from Econbrowser shows the budget surplus or deficit of the U.S. federal government as a share of GDP (blue, left scale). the odds now favour a US recession. By contrast, the betting over at Intrade indicates that the probability of a recession starting over the next year is still under 50 percent, although just barely. We might create a new consumer-oriented regulatory authority, like the Financial Products Safety Commission that Elizabeth Warren, a professor at Harvard Law School, has been advocating. It would monitor financial products for consumers and draft regulations to prevent practices like the recent widespread issuance of adjustable-rate mortgages to low-income borrowers who couldn’t afford the rate resets. Here is an hour-long interview with Harvard labor economist Richard Freeman. For teachers of introductory macroeconomics, the recent fall in the dollar is a great case study of how exchange rates influence trade patterns. Today's Boston Globe has a vivid story on the topic: With dollar low, US is one big outlet: Europeans arriving in droves for bargains. Does your neighbor's BMW make you feel bad? Some economists, such as Cornell's Robert Frank, have pushed the argument that higher tax rates are good because they discourage people from working too hard. This argument makes sense if a person's hard work and resulting high consumption conveys a negative externality on his neighbors. David Henderson dissects the argument. Meanwhile, neuroeconomists offer some support. Here is a previous post on the topic. Women live longer than men, and now we know how they spend their extra endowment of time: waiting at Starbucks. How long does it take to grab a cup of coffee? If you happen to be a woman, plan on adding 20 seconds to your morning ritual. That’s how much longer women wait to get their coffee compared to men, according to a study by Middlebury College economics professor Caitlin Knowles Myers, Myers and five of her students timed 295 transactions at eight Boston-area coffee shops. Her study controlled for complicating factors, including the complexity of the drink order (skinny? soy? 3 percent milk? ), the appearance of the customer, and the length of the line. But even after accounting for these factors, women waited about 20 seconds longer. This morning Jeff Miron and I were guests in Michael Sandel's Justice course, discussing the role of free markets in society. Toward the end, Professor Sandel asked a fascinating question (and I am paraphrasing), "If you economists are so in favor of voluntary exchange, would you extend that conclusion to letting a person sell his right to vote to another person?" I said No. It is true that both parties in the transaction must be better off if they agreed to the deal. Nonetheless, the standard argument for unfettered voluntary exchange does not apply because there are externalities. That is, when one person sells his vote to another, that transaction may affect unrelated third parties through the electoral process. Here is an example of what I had in mind. Suppose three voters are deciding whether to provide a public good that costs $9, which would be financed by a $3 tax on each voter. Andy values the public good at $8, while Ben and Carl do not value it at all. Under majority voting, Ben and Carl vote against, and the public good does not get provided, which is the efficient outcome. Suppose, however, that Andy could buy Ben's vote for $4. He could then ensure the project gets passed. Andy is better off by $1 (the $8 benefit minus the $3 tax and the $4 price of the vote), Ben is better off by $1 (the $4 price of the vote minus the $3 tax), and Carl is worse off by $3 (the $3 tax). The Andy-Ben vote deal has negative externalities on Carl. One can concoct examples in which selling votes enhances efficiency. (Increase Andy's valuation from $8 to $10). So I do not mean to suggest that vote trading is always inefficient. The purpose of this example is only to show that externalities abound. Standard conclusions about the benefits of voluntary exchange do not readily apply to the vastly complicated situation of democratic voting. Professor Mankiw argues that we should not allow the buying and selling of votes, despite the fact that both buyer and seller would be better off, because such exchanges create externalities. I agree that we should not allow a market in votes. But the reason cannot be that vote-selling creates externalities. Persuading people to change their minds about which candidate or policy to support also creates externalities. But I doubt Professor Mankiw would say that we should therefore prohibit political persuasion. Consider his example: Three voters are deciding whether to vote for a public good that costs $9, to be financed by a $3 tax on each voter. Andy values the public good at $8, while Ben and Carl do not value it at all. Suppose the policy in question is a tax override to support the public schools. Andy, who has two children in the public schools, strongly favors the override. Neither Ben nor Carl has children in the public schools, which explains their initial reluctance to assign any value to the lower class size, improved school library, and renovated science labs the override would finance. Now suppose Andy persuades Ben that everyone in the community has a stake in the quality of the public schools, regardless of whether they have children who benefit directly. Perhaps Ben comes to believe that a well-educated citizenry will make for a more prosperous local economy, or a more healthy democracy. Or perhaps he is simply persuaded that strong public schools will bolster the local real estate market, and enhance his property's value. He now comes to value the public good associated with the override at $4. Since this is more than the $3 tax he will have to pay, he joins Andy in voting for the override. Carl, who remains unpersuaded of the override's merits, votes against it and loses. His taxes go up by $3, for a public good he does not value. Andy's persuasion of Ben has negative externalities for Carl. This example shows that Professor Mankiw's reason for opposing vote selling--that it imposes externalities on third parties--can't be right. Whether Andy buy's Ben's vote or wins it through persuasion, the effect on Carl (the "negative externality") is the same. In both cases, Carl loses a vote he would otherwise have won, and is saddled with the $3 tax. So unless Professor Mankiw would prohibit political persuasion, the negative externality on Carl does not explain why vote-selling should be prohibited. From John Ford, Assistant Professor of Medicine at UCLA. ...is the importance of property rights. 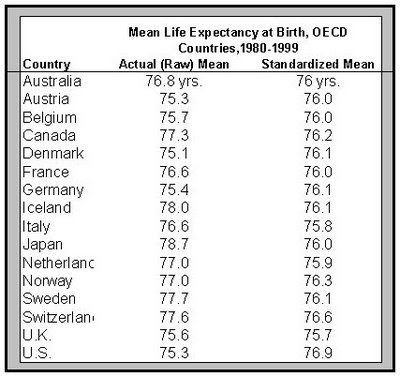 Update: More on the topic of Social Security from Paul Krugman's blog. See also these presentations from several experts. New from the CBO: Issues in Climate Change. Although both types of incentive-based approaches [to reducing carbon emissions] are significantly more efficient than command-and-control policies, studies typically find that over the next several decades, a well-designed and appropriately set tax would yield higher net benefits than a corresponding cap-and-trade approach. "The situation is not hopeless"
Here is a surprisingly pessimistic view of current events, from Paul Samuelson, the great economics textbook author. I'm a student in an econ PhD program. I've read "JD vs PhD: My Story" on your blog. Correct me if I'm mistaken, but you finished your PhD in two years. (Lucky you, only 2 years of torture!!) How did you manage to finish the coursework and the research in just two years? During my last year as an undergrad at Princeton, I took the standard graduate sequence in micro and macro. When I arrived at MIT, I was effectively a second-year PhD student. 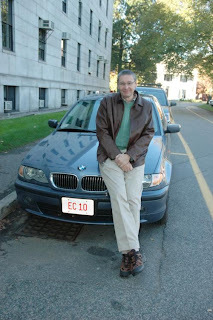 After my first year at MIT, I went for a year to Harvard Law School, where I was more concerned about writing economics articles than being a diligent law student. After the year in law school, I went to the CEA as a staff economist, where I worked for senior staff economist Larry Summers, who served also as an academic adviser. Because I worked on research between CEA tasks, when I returned to MIT for my second year, I had much of my dissertation already completed. In short, my PhD really took five years of elapsed time, but while doing it, I managed to squeeze in a few other things: finishing my undergraduate degree, being a first-year law student, and working at the CEA. Susan Athey will be giving a guest lecture in Sanders Theatre at noon. This is her ec 10 debut. All students, including ec 10 students from previous years, are invited. FYI, I believe that ec 10 is the only introductory econ course in the world that features four winners of the John Bates Clark Award. Use that fact the next time someone tells you Harvard's star faculty ignores the undergrads. I have been studying the family trees of 20 successful African-Americans, people in fields ranging from entertainment and sports (Oprah Winfrey, the track star Jackie Joyner-Kersee) to space travel and medicine (the astronaut Mae Jemison and Ben Carson, a pediatric neurosurgeon). And I’ve seen an astonishing pattern: 15 of the 20 descend from at least one line of former slaves who managed to obtain property by 1920 — a time when only 25 percent of all African-American families owned property. If I understand the empirical pattern Professor Gates is describing, then to me it does not seem astonishing at all. The time span is 87 years, which is about three generations. Everyone has 8 great-grandparents. It seems very possible that a vast majority of today's African-Americans descend from at least one of the fortunate 25 percent. As a general matter, the literature on intergenerational mobility finds a positive correlation between the economic success of parents and children, but the correlation is not sufficiently strong to persist substantially over three generations. I would venture the guess that over such a long time span, the correlation is only 10 to 20 percent. Maybe it is larger if the sample is restricted to the population of African-Americans, but I would bet against it. Grzegorz Holdys emails me about his new macroeconomics game called The economy, stupid! As long as I am on the topic, here is the Presidential Game designed to accompany my intermediate macro textbook. (Scroll down after you click on the link.) The game has you set monetary and fiscal policy, and it embodies a short-run IS-LM model, a medium-run Phillips curve, and a long-run Solow growth model, just like the real world! Personally, I like the idea of Air Nerds. 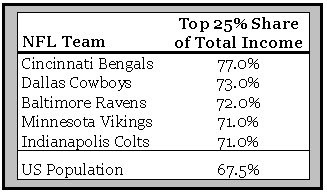 the pattern of income distribution in the NFL is strikingly similar to the income inequality of the general population, and is actually slightly greater in the NFL....perhaps this pattern of income distribution is a natural and expected outcome of any extremely competitive environment where talent is scare, valuable and highly paid, whether it's the NFL or the overall economy. In today's NY Times Paul Krugman berates Barack Obama for worrying about the future of Social Security. He thinks Obama has been misled by "decades of scare-mongering about Social Security’s future from conservative ideologues." This fiscal crisis in Social Security affects every generation. We now know that the Social Security trust fund is fine for another few decades. But if it gets in trouble and we don't deal with it, then it not only affects the generation of the baby boomers and whether they'll have enough to live on when they retire, it raises the question of whether they will have enough to live on by unfairly burdening their children and, therefore, unfairly burdening their children's ability to raise their grandchildren.... And if nothing is done by 2029, there will be a deficit in the Social Security trust fund, which will either require -- if you just wait until then -- a huge tax increase in the payroll tax, or just about a 25 percent cut in Social Security benefits. While the Council has not found any short-term financing problems with the Old-Age, Survivors, and Disability (OASDI) program, there are serious problems in the long run. Because of the time required for workers to prepare for their retirement, and the greater fairness of gradual changes, even long-run problems require attention in the near term. (Source.) The Advisory Council was chaired by well-known economist Edward Gramlich, who was surely no conservative ideologue. Indeed, on other matters, Paul has praised him for being particularly prescient. The bottom line: Concern about social security's future comes not from decades of scare-mongering by conservative ideologues but from decades of dispassionate analysis by some of the best policy economists. Matthew Weinzierl and I will be presenting The Optimal Taxation of Height at Boston College. By the way, Matt is on the market this year. My advice to top econ departments: Hire him. Bernanke announces more transparency in monetary policy. Econ prof Linda Ghent sends in this photo of a billboard from a highway outside of Charleston, Illinois. Tom Friedman confirms his membership. The U.S. Treasury has released a new study on the income mobility of U.S. taxpayers from 1996 through 2005. Among other findings, it reports that "the degree of mobility among income groups is unchanged from the prior decade (1987 through 1996)," a conclusion consistent with other research. This paper finds a strong positive correlation between female labor force participation and negative health outcomes for middle-aged men and women, and suggests that this correlation is mediated by household-level stress. At the cross-country aggregate level, I show that labor force participation of women is associated with increased mortality rates among both men and women. At the individual level, I find that married men whose spouses work are more likely to die within 10 years, to have high blood pressure and to self-report worse health outcomes. The findings do not appear to be the result of reverse causality. The mortality effects, both aggregate and individual, are especially large for deaths from ischemic heart disease, while weak to moderate for cancer. These findings match well with the medical evidence on the link between stress and health. At a recent faculty meeting where this new research was discussed, one of my colleagues turned to Guido Imbens, husband of superstar (and presumptive workaholic) Susan Athey, and said, "Guido, you're a goner." By the way, Noam has been one of ec 10's great teachers and is now on the job market. This is what happens when a Harvard student takes Ec 10 and an animation class in the same semester. 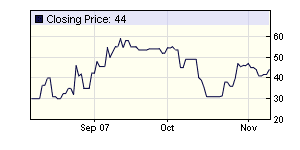 Recorded October 2005 but just released by the Dallas Fed. Paul says increased U.S. saving weakens the dollar. I agree. Nalebuff thinks the weight loss will happen only if there is something of importance being risked....he suggested I enter into a contract in which I agree to pay him if I don't drop some pounds. "As much as people don't like to lose money, what they really don't like to lose is their own money," he said. In fact, some of his Yale colleagues are in the final stages of launching a business based on this very concept. They have started a company called stickK.com that will allow people to take out a contract on themselves. They pick a price. If they don't lose a certain amount of weight, they lose the money, either to a charity, friends or family. Ian Ayres, one of the company's founders, said he hopes the Web site makes money by selling advertisements and forming corporate partnerships. "The basic idea is to let economic incentives have a chance," he said. "It's been very hard to produce successful results through traditional weight-loss methods." Ayres took out a contract on himself with another of the company's founders. He needed to get down to 185 pounds, losing at least a pound a week or forfeiting $500 for each week he failed. Sure enough, he dropped below 185 pounds. Now if his weight goes above 185 pounds, a penalty kicks in. He has avoided more than $21,000 in potential penalties. "It's been a free way to lose weight," Ayres said. the additional cost of a statistical life-year-saved is on the order of $50,000 -- similar to the estimate from health improvements over time, and well below the typical value of a life-year-saved of $100,000. This estimate comes from comparing the mortality of visitors to Florida who become ill in high-spending areas with similar visitors who become ill in lower-spending areas. Can government policies that increase the monopoly power of firms and the militancy of unions increase output? This paper studies this question in a dynamic general equilibrium model with nominal frictions and shows that these policies are expansionary when certain “emergency” conditions apply. I argue that these emergency conditions—zero interest rates and deflation—were satisfied during the Great Depression in the United States. Therefore, the New Deal, which facilitated monopolies and union militancy, was expansionary, according to the model. This conclusion is contrary to the one reached by Cole and Ohanian (2004), who argue that the New Deal was contractionary. The main reason for this divergence is that the current model incorporates nominal frictions so that inflation expectations play a central role in the analysis. The New Deal has a strong effect on inflation expectations in the model, changing excessive deflation to modest inflation, thereby lowering real interest rates and stimulating spending. Here is the Cole and Ohanian paper to which Eggertsson is responding. A friend recommends this new paper by Andy Abel. Andy says it is nondistortionary to tax capital income, as long as you allow new capital investments to be expensed. I think this is akin to the old argument that, from an efficiency standpoint, you should sock it to old capital but be nice to new capital. I will be giving the keynote talk at the annual conference of the Northeast Business & Economics Association. Someone should get Paul Krugman and Larry Katz to debate the causes of growing inequality. They are both smart economists, they have both written a lot about trends in inequality, and yet they arrive at apparently opposite conclusions. Recently, Henry Paulson, the Treasury secretary, acknowledged that economic inequality is rising in America. In a break with previous administration pronouncements, he also conceded that this might be cause for concern. History suggests otherwise. I’ve been studying the long-term history of inequality in the United States. And it’s hard to avoid the sense that it matters a lot which political party, or more accurately, which political ideology rules Washington. We document the spectacular rise of U.S. wage inequality after 1980 and place recent changes into a century-long historical perspective to understand the sources of change. The majority of the increase in wage inequality since 1980 can be accounted for by rising educational wage differentials, just as a substantial part of the decrease in wage inequality in the earlier era can be accounted for by decreasing educational wage differentials. I should note that Paul and Larry have similar politics: Larry worked in the Clinton administration, and Paul is clearly aligned with the Democrats as well. So there is no large ideological divide. Nonetheless, they seem to have polar opposite views of economic history. Why? Thanks to Andrew Samwick for the pointer. White House hopeful Sen. Barack Obama (D-Ill.) unveiled a package of tax breaks and programs Wednesday in Iowa that he said would help middle-class Americans. The Illinois Democrat also promised to pass a universal healthcare bill that would cut family premiums up to $2,500 by 2012. 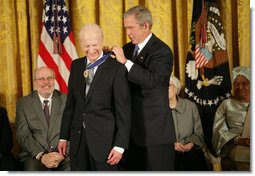 Our first honoree, Dr. Gary Becker, once said, "Many intellectuals, many economists, use obscure language when they write. Sometimes it's a way of disguising that they are not saying a heck of a lot." This economist, however, is different. Gary Becker's many books and articles, and his 19 years as a weekly columnist, have provided -- proved him to be a thinker of originality and clarity. This longtime professor at the University of Chicago has helped train hundreds of talented economists. He has been a wise and challenging presence in the lives of his students, and they remain devoted to him. One close friend said, "A 15-minute conversation with Gary Becker can change your thinking forever." 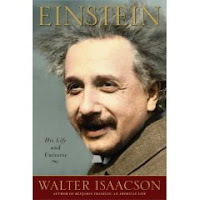 He is without question one of the most influential economists of the last hundred years. With today's honor, he is one of only two persons to have received both the Nobel Prize in Economics and the Medal of Freedom. The other was the late Milton Friedman. And I know that today Dr. Friedman would be very proud of his friend, and student, and colleague, Dr. Gary Becker. Congratulations. Update: Alex Tabarrok emails me, "Bush needs a better fact-checker. Hayek also won the Nobel prize and the Medal of Freedom." I am a CPT in the US Army and currently stationed in Baghdad Iraq with the 82nd Airborne Division conducting this 'Surge' mission. I am an Internal Medicine physician by training though acting as a battalion surgeon out here. My father is an Economics professor and I didn't really do that well in Econ in the mid 90s in college. Econ was too gray of a field for someone who was spoiled by the black and white thinking of hard sciences. My father has quite persistently held his grudge against me for the aforementioned bad grade, so now that I'm stuck in a building here in downtown Baghdad with some down time I ordered your intro level Econ textbook. The above introductory information aside, I just wanted to thank you for writing such a clearly thought out and effectively written textbook. At the conclusion of each of your chapters I feel that I understand the governing principles behind economic phenomena which is exactly what I was looking for. I don't expect a reply sir, but do look forward to reading some of your advanced level textbooks. I'm actually finding this stuff fascinating! Q: There has been a lot of blogosphere commentary on your piece. Are you going to respond to it? Every element of Mankiw's analysis has been common knowledge in the healthcare economics field for several years and strictly speaking, none of this is really news. Q: Does your piece mean to suggest that you are opposed to any reform of the U.S. health system? A: No, I think some modest reforms can yield some modest improvements in the system. But the magnitude of the problems we face is often exaggerated by those seeking more sweeping reforms. Exaggeration is a common technique used by reformers to energize the public. Q: Polls show the American people are very unhappy with the current health system. Why is that? A: The public tends to be upset whenever prices rise. When gasoline prices rise, oil companies are accused of price gouging. When textbook prices rise, Ralph Nader investigates publishers. There is no question that the cost of state-of-the-art healthcare has been increasing, mainly because of technological progress. Egged on by some pundits, the public is inclined to think that some villain must be responsible for the increasing cost and that the government can fix the problem. On this and many other issues, I am a Caplanian: voters need to be better educated, lest we stumble into poorly motivated populist policies. Q: Do you think the pundits of the left are similarly confused? A: Some are, but others have an altogether different motive. Observing dissatisfaction with the U.S. healthcare system, they are using reform as a Trojan Horse to push for more redistribution of income. Almost all sweeping health reform proposals involve higher taxes on the rich to provide benefits for those farther down the economic ladder. 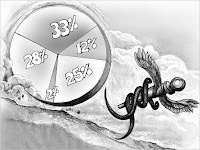 The redistribution, rather than health reform, is sometimes the main objective. To judge whether my conjecture is correct, ask your favorite pundit of the left the following: What health reform would you favor if the reform were required to be distribution-neutral? That is, you can change the rules of the health system but you cannot change the distribution of economic resources between rich and poor. My guess is that your favorite pundit would either object to the question or answer by retreating to more modest reforms. If so, this suggests that calls for sweeping reform are mainly motivated by the desire for increased redistribution. Q: Are you the devil incarnate? A: I will get back to you on that. The poll then tested the relative influence of two different design options for an energy tax by asking those who initially did not support a higher energy tax whether they would favour this tax under one of two different conditions: if the revenues were "devoted only to increasing energy efficiency and developing energy sources that do not produce climate change" and if at "the same time as your other taxes were reduced by the same amount, keeping your total taxes at the current level." Combined with those who initially supported an energy tax, the percentage who change their position under each condition produces a large majority in every country ready to favour an energy tax. Thanks to Christian Zimmermann for the pointer. Would you rather be macho or an egghead? David Romer asks. The coaches answer. As an investor, you need to perform calculations and have a logical investment thesis. This is your left brain working. But you also need to be able to do things such as judging a management team from subtle cues they give off. You need to be able to step back and take a big picture view of certain situations rather than analyzing them to death. You need to have a sense of humor and humility and common sense. And most important, I believe you need to be a good writer. Look at Buffett; he's one of the best writers ever in the business world. It's not a coincidence that he's also one of the best investors of all time. If you can't write clearly, it is my opinion that you don't think very clearly. My piece in tomorrow's NY Times: Beyond Those Health Care Numbers. Edward Nelson and Anna Schwartz answer Paul Krugman. How to tell if you might be a quant by MIT finance prof Andy Lo. New York Mayor Michael Bloomberg joins the Pigou Club. +166,000 net new jobs were added in October. This is almost twice what the markets expected. The unemployment rate is unchanged at 4.7%. The US economy has created 1.68 M net new jobs over the past year, and 8.3 M since the labor market turnaround in August 2003. We’ve had 50 months (4 years and 2 months) of continuous employment growth, a new record. Wages are up 1.2% over the past year, adjusting for inflation. GDP grew 3.9% in the 3rd quarter, well above market expectations of about 3%. This is the strongest quarterly GDP growth in 1½ years. Extra happy. We can see the effects of a strong labor market in the consumption numbers – people are working and their real incomes are climbing, so they’re buying more stuff. Since consumption is about 70% of the economy, strong consumption growth is critical to continued GDP growth. Housing is still a drag – it knocked 1.1% off the third quarter growth number. This is bad but unsurprising. The silver lining is that there’s no evidence the housing decline is spilling over into consumption. Business investment was solid. Investment in “equipment and software” grew at a 6% rate, the best in 1½ years. Exports continue to be strong, and they now make up 1 in 8 dollars of our GDP (12%). The rest of the world is growing, and they’re buying our stuff. This last point is a useful reminder – world economic growth is not a zero sum game. When other countries’ economies grow, they buy more US goods. That’s good for us. It’s no fun unless you have a picture. The yellow bar shows the total of 3.9% GDP growth. The other bars show where the growth is coming from. This is my favorite way to show what’s actually going on – you can see that most of our growth is coming from consumption, that business investment and exports are important, and that housing is still a big drag. We also had some happy news that productivity grew 2.6% in the 2nd quarter of this year. Higher productivity means each worker makes more stuff. Over time, productivity growth leads to wage growth. Wednesday the Federal Open Market Committee cut the fed funds rate by a quarter point, to 4.5%. They also cut the discount rate by the same amount, to 5%. The FOMC also put out a statement. Since we don’t comment on the Fed’s monetary policy actions, I’ll leave it at that. There are, however, some clouds going forward. It’s probably going to take a while to work out of the housing downturn. We expect housing will continue to be a drag on GDP growth. Oil prices are nearing an all-time inflation-adjusted high (depending on how you measure inflation). The credit markets are still working through problems that first appeared in August. One of our favorite words when talking about the US economy is “flexible” – we have extremely flexible labor and capital markets. When bad things happen (e.g., a factory closing, wildfires, housing and credit market troubles), a flexible economy can adjust and recover quickly and with the smallest amount of pain. We’re seeing the benefits of a flexible economy now. Ed Glaeser thinks boys and girls are different. Does this mean he will never be President of Harvard? Stanford's John Taylor opines on the economic problems of Iraq. Is cap-and-trade a tax increase? Cap-and-trade = Carbon tax + Corporate welfare. The budgetary treatment of a federal cap-and-trade system for CO2 emissions is an important topic that has received relatively little attention. If the federal government sold emission allowances, the proceeds would clearly be scored as federal receipts. The appropriate treatment of allowances issued at no charge is less clear. There is a solid case to be made that even allowances that were given away by the government should be reflected in the budgetary scoring process—specifically, that the value of any allowances initially distributed at no cost to the recipients should be scored as both revenues and outlays, with no net effect on the budget deficit. Our data reveal a consistent and large adverse effect of corporate taxation on both investment and entrepreneurship. A 10 percentage point increase in the effective corporate tax rate reduces the investment to GDP ratio by about 2 percentage points (mean is 21%), and the official entry rate by 1.3 percentage points (mean is 8%). Here is the link for the AEA signaling mechanism. From last year, here is some advice from Al Roth about the mechanism. Here is advice that new Harvard PhDs are getting. Teachers of undergraduate macro could hand out the article and ask students: Is national income accounting as counterintuitive as this article makes it seem? The article makes a lot out of the fact that imports are subtracted to get GDP. That is true, but there is nothing odd about it. Y = C + I + G + X - M.
Imports M are subtracted to obtain domestic production Y because they are already included in consumption C, investment I, or government purchases G.
To me, it is not especially illuminating to say that inflation is low because imported oil prices are surging. A better description is more prosaic. The prices of domestically produced goods are rising more slowly than the prices of imported goods. So the GDP deflator, which reflects the prices of domestic goods, is rising more slowly than price indexes that include imports. The national income accounting here is straightforward and unobjectionable. The more interesting question is which measure of the inflation rate policymakers, such as those at the Fed, should be focused on.